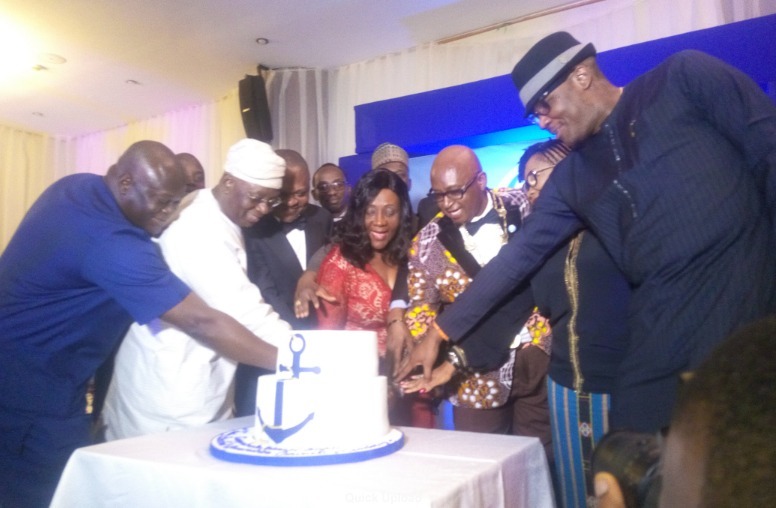 Former President, African Shipowners Association (ASA), Mr. Temisan Omatseye has called on the various ship owners associations on the African continent to unite and form a common front so as to speak with one voice on issues affecting Africa as a people in the International Maritime Organization (IMO). Omatseye who made this call in a goodwill message at the inauguration of the new executive of the Shipowners Association of Nigeria (SOAN) in Lagos last Friday said that the call became necessary as Africans currently speak in their individual voices on the IMO platform which according to him did no good to the continent even when Asia, Europe and America speak with one voice. He noted that the reason why African Shipowners were coming together was because they were looking forward to African Shiowners speaking with one voice. According to Omatseye who is also a former Director General of the Nigerian Maritime Administration and Safety Agency (NIMASA),” The African Shipowners all over Africa coming as one just like all Maritime Administrators have come as one and the reason why they are doing that is that the African Union has given the African Shipowners Association the power and authority to set up a mighty Directorate in the African Union. “The reason for that is that as Africans, we speak in our individual voices and we need Africa to speak with one voice. When we go to IMO, everybody is carrying his own cross but if you go to Asia, Europe and everybody else speak with their continental voices but only Africa that does not speak. “So, when we get to IMO, they will impose rules on Africa and give us regulations that we cannot meet. So, Nigeria being the biggest player in the maritime industry in Africa, we look for better participation, we are looking for people to fill positions in AU (African Union) in Addis Ababa. “So, it will be good for us in Nigeria to take up those position and lead. So, we look forward to working with the Africans and hopefully, we will be calling to do a courtesy visit to your executive and share the vision of where we want to go. “The African Directorate is going to have all departments of shipping under one umbrella so that we can speak with one voice because we are almost 30 or 40 countries in Africa in IMO and then we push for better policies so that they don’t make us suffer. “They take all our cargoes in their ships and bring back all our cargoes in their ships; they don’t even give us an opportunity. We own 0.01% of Flags in the whole and we control majority of the cargoes. “Africa is the next frontier, we must believe that, they know that, return on investment is good and I believe that from SOAN here, they can drive it and make sure everything happens”. The former ASA President said that Africa owns a total of 0.01% of the flags in the whole world but controls majority of cargoes generated globally. Omatseye who disclosed said that Africa was the next frontier saying, “We must believe that, they know that, return on investment is good and I believe that from SOAN here, they can drive it and make sure everything happens”.